Wynne Rice Mill Installation: ZaccariaUSA’s project in Wynne, AR is coming along nicely. You can see images of the plant here: Zaccaria ZX-50 Rice Mill Project. 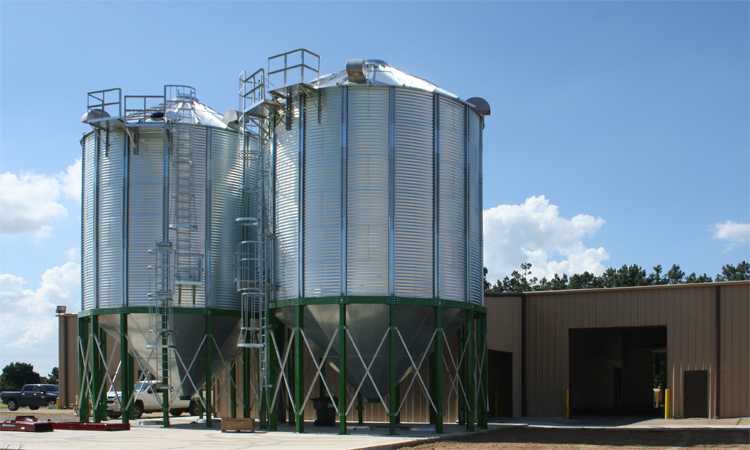 The plant decided to install a 2-tier design, which will allow for several of the rice milling machines to be located above the others. This maximizes room for the packaging line and an additional milling line to be installed at a later date. The ground level will include the sifter and the rice elevators while the top level will house the brown rice brush polisher, the whitener, the water polisher, the color sorter, and the length separator. The paddy will be pre-cleaned prior to going into the day bins and then cleaned again prior to entering the rice mill. All of the husking and bran collection will be on the other side of a wall located outside of the milling area.